Need a quick and family-friendly dinner idea? 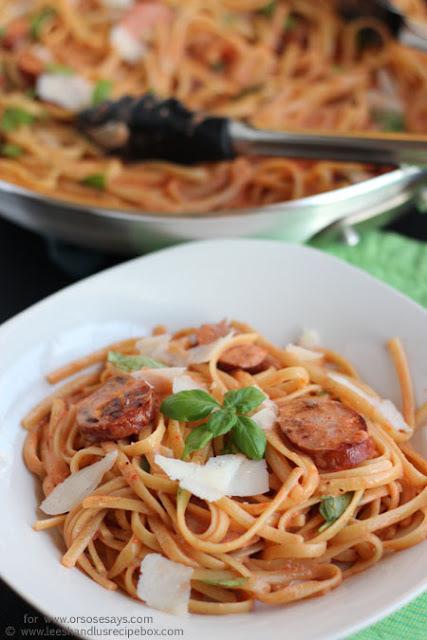 Look no further than this amazing pasta dish! 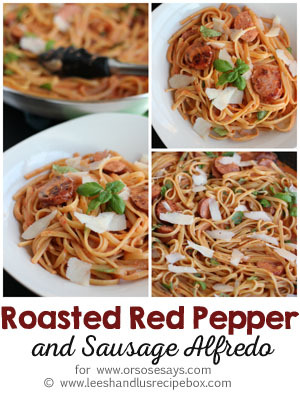 Smoked sausage, shaved parmesan, and a creamy roasted red pepper sauce. It never disappoints at our house! Head to OSSS for the recipe printable. Just tried this recipe last night...SO good! My husband went back for seconds, and my 2 year old wanted more smoked sausage. It's a keeper, thank you!